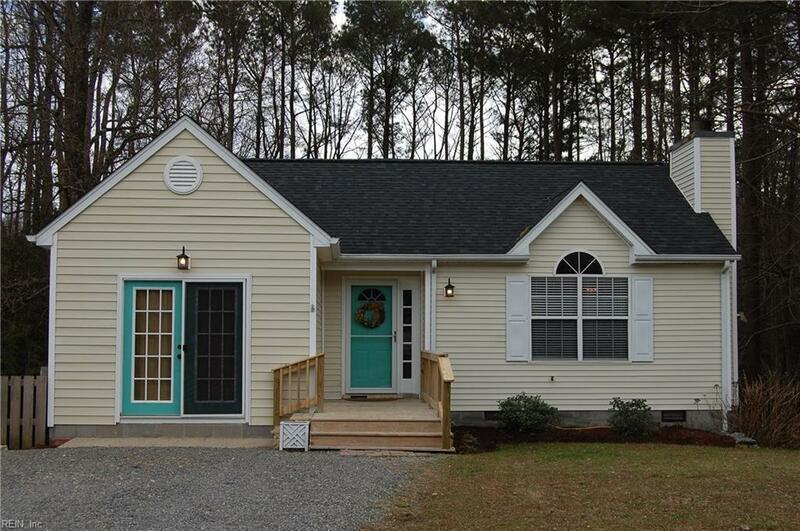 6464 Quail Hollow Dr, Gloucester County, VA 23072 (#10240450) :: Abbitt Realty Co.
Adorable, extremely well maintained rancher on a slice of heaven in the country. 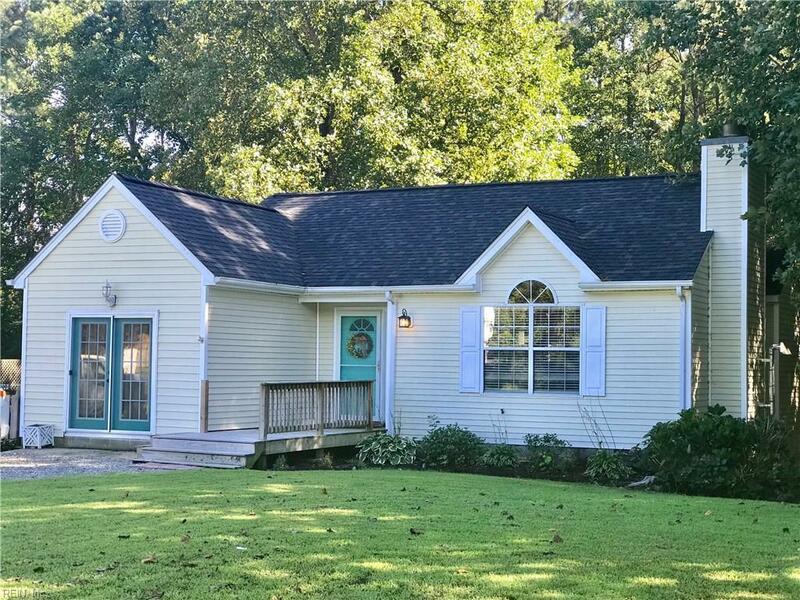 Centrally located in Hayes area of Gloucester with a short 10 minute drive to bridge and courthouse area, this charming rancher sits on almost an acre in a quiet cul-de-sac. 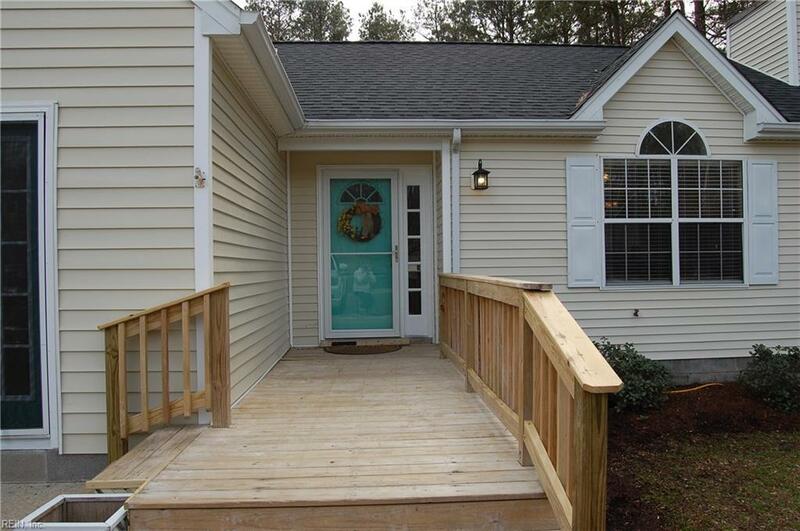 It features a large, new wrap around rear deck, overlooking a large fire pit and entertainment area surrounded by serenity and nature! 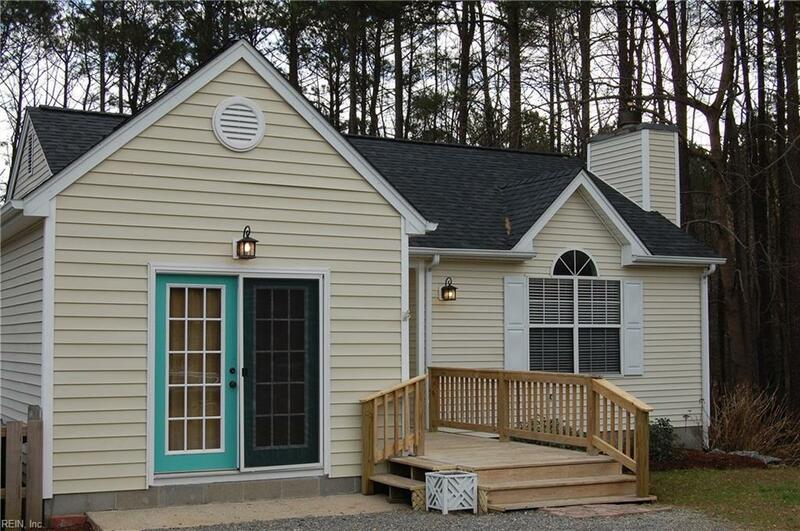 Converted garage with french doors makes a great large master, guest suite, or bonus room! Additional room off kitchen would make a great office, nursery, or 4th bedroom. Cozy up by the wood stove, with stone feature wall, and listen to nature out of your backdoor or watch a movie on the 55" TV that conveys. Walk-in crawl space with a fully functional unfinished workshop is a perfect alternative to garage. Don't miss your chance on this one.